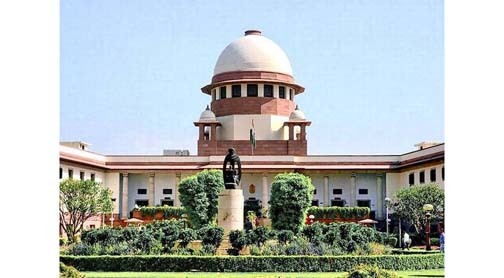 The Supreme Court on Monday sought detailed information about the detention centres in Assam from the Centre. A bench comprising Chief Justice of India (CJI) Ranjan Gogoi and Justice Sanjeev Khanna was hearing a petition filed by activist Harsh Mazumdar on the condition of detention centers and its inhabitants in Assam. The apex court asked the Centre to provide the exact number of detention centres in Assam and the number of foreigners living in each of the centres. The bench also sought information about the period of detention of detainees and the status of their cases, reports TOI. The apex court wanted to know about the number of persons who have been declared foreigners so far and the number of foreigners deported from Assam till now. The bench also sought the details of foreigners who have illegally entered India during the last ten years. The bench asked the Centre to submit all the details within three weeks and the next hearing has been scheduled to be held on February 19.